Meionite: Mineral information, data and localities. Named in 1801 by Rene Just Haüy from μειωυ Greek for less, in reference to the less acute pyramidal form as compared to vesuvianite. Visit gemdat.org for gemological information about Meionite. On synthetic material. Teertstra & Sherriff (1996) give a = 12.20(1) and c = 7.556(5) Å for end-member meionite. Algerite Square unterminated prisms to several cm, rarely shows the normal pyramid. 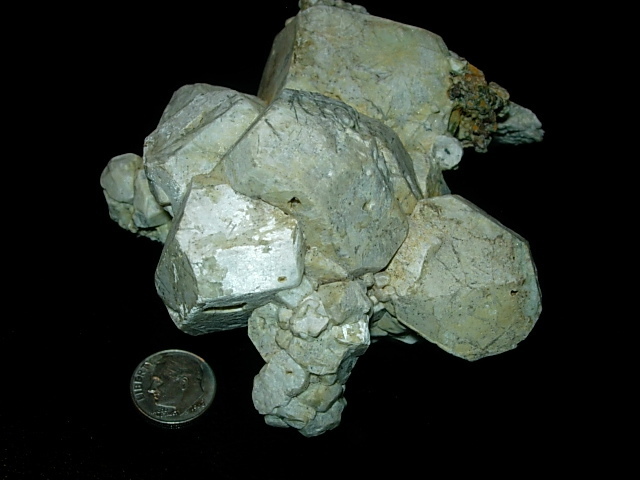 Varies from fresh to an altered meionite partly replaced by muscovite and possibly minor vesuvianite. Kembleite Slender pale yellow to brown elongated square prismatic crystals, often intergrown with fine-grained phlogopite. Nuttallite gray with slight tint of purple or blue, occasional slight chatoyancy. Calcite 21 photos of Meionite associated with Calcite on mindat.org. Diopside 17 photos of Meionite associated with Diopside on mindat.org. Phlogopite 15 photos of Meionite associated with Phlogopite on mindat.org. Graphite 11 photos of Meionite associated with Graphite on mindat.org. Titanite 9 photos of Meionite associated with Titanite on mindat.org. Scheelite 7 photos of Meionite associated with Scheelite on mindat.org. Marialite 7 photos of Meionite associated with Marialite on mindat.org. Fluorapatite 6 photos of Meionite associated with Fluorapatite on mindat.org. Quartz 6 photos of Meionite associated with Quartz on mindat.org. Pyroxene Group 6 photos of Meionite associated with Pyroxene Group on mindat.org. American Mineralogist (1982): 67: 1229-1241. Schweizerische mineralogische und petrographische Mitteilungen: 53: 385-393. Teertstra, D.K. and Sherriff, B.L. (1996): Scapolite cell-parameter trends along the solid-solution series. American Mineralogist, 81, 169-180. Seto, Y., Shimobayashi, N., Miyake, A. & Kitamura, M. (2004): Composition and I4/m - P42/n phase transition in scapolite solid solutions. American Mineralogist 89, 257-265. Anato, S.M. & Hassan, I. (2011): The structures of marialite (Me6) and meionite (Me93) in space groups P42/n and I4/m, and the absence of phase transitions in the scapolite series. Powder Diffraction 26, 119-125. 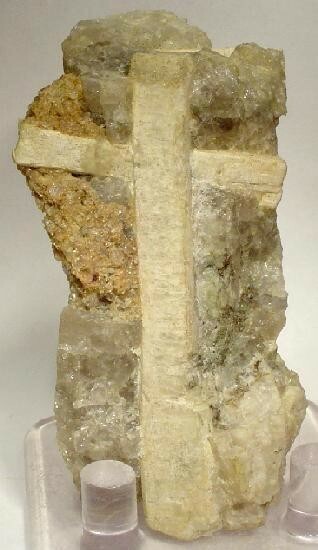 The following Meionite specimens are currently listed for sale on minfind.com. Grguric, B.A. (1992) The petrology, geochemistry and fluid history of calc-silicate rocks and associated primary Cu-Co mineralisation in the Ethiudna Mines area, Olary Province, South Australia. Unpublished Honours thesis, University of Adelaide. ⓘ Highway 507 graphite occurrence ? Bourdeau, J. et al (2008) 35th Rochester Mineralogical Symposium, Abstracts of contributed papers, 16. BELLEY, P.M., GRICE, J.D., FAYEK, M., KOWALSKI, P.M. & GREW, E.S. (2014): A new occurrence of the borosilicate serendibite in tourmaline-bearing calc-silicate rocks, Portage-du-Fort marble, Grenville Province, Québec: evolution of boron isotope and tourmaline compositions in a metamorphic context. Canadian Mineralogist 52, 595-616. Stoppani F.S., Curti E. (1982): I minerali del Lazio. Editoriale Olimpia, Firenze, 291 pp. ; Liotti L., Tealdi E. (1983): Il vulcanismo Sabatino ed i minerali della Caldera di Sacrofano. Riv. Miner. Ital., 7, 2 (2-1983), 35-58. G. Branchi, Gruppo Mineralogico Camuno (2006): Cima Sablunera. Descrizione geologica e mineralogica della zona. 15 pp. 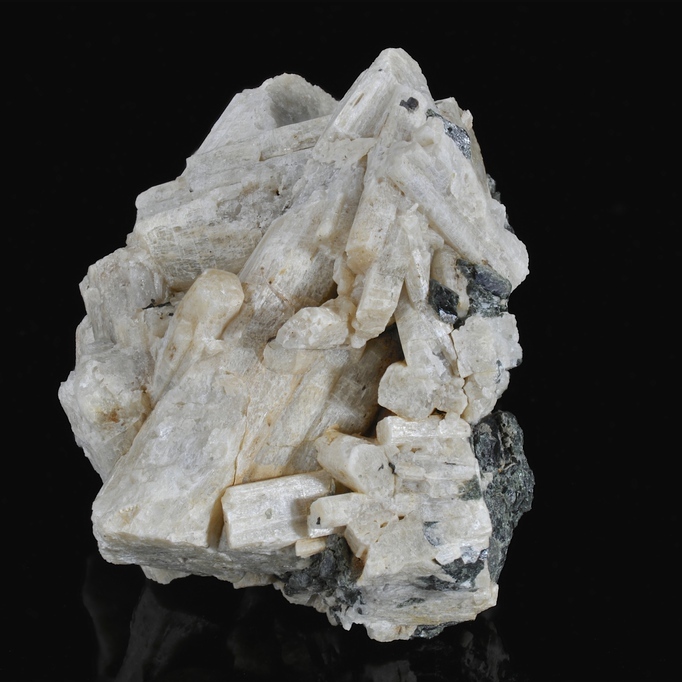 Bedogné F., Montrasio A., Sciesa E. (1995): I minerali della provincia di Sondrio e della Bregaglia grigionese. Val Bregaglia, Val Masino, Val Codera e Valle Spluga. Bettini, Sondrio, 300 pp. Superchi, M., Pezzotta, F., Gambini, E. and Castaman, E. (2010): Yellow Scapolite from Ihosy, Madagascar. Gems & Gemology. 46 (4), 274-279. Steven, N. M. and Moore, J. M., 1994, Pan-African tungsten skarn mineralization at the Otjua Prospect, central Namibia, Economic Geology, 89: 1431-1453. Cairncross, B. and Dixon, R., (1995) Minerals of South Africa. The Geological Society of South Africa. 141. Stalder, H. A., Wagner, A., Graeser, S. and Stuker, P. (1998): "Mineralienlexikon der Schweiz", Wepf (Basel), p. 340, 373. Stalder, H. A., Wagner, A., Graeser, S. and Stuker, P. (1998): "Mineralienlexikon der Schweiz", Wepf (Basel), p. 373. King & Foord, 1994. Mineralogy of Maine, Vol. 1., p.365. Thompson, W.B., et.al., 1991, Maine Mineral Localites, 2nd edition, Maine Geological Survey, Augusta. Garza, Steve (1980): Routes 495 and 290, Marlborough, Massachusetts (Boston Mineral Club Newsletter Dec., 1980). Handbook of Mineralogy - Anthony, Bideaux, Bladh, Nichols; Sherriff, Barbara et al. (2000). Meionite: Rietveld Structure-Refinement 29Si MAS AND 27Al SATRAS NMR Spectroscopy, and Comments on the Marialite-Meionite Series. (Canadian Mineralogist 38:1201-1213. Gibson, R.I., 2017, Geology and mineralogy of the eastern margin of the Butte Pluton, Montana: Proceedings, Montana Mining and Mineral Symposium 2017, Montana Bureau of Mines and Geology, in press. Dunn, P.J. (1995): Franklin and Sterling Hill New Jersey: the world's most magnificent mineral deposits; 512. New Jersey State Geologist Annual Report (1890): 33. Steven C. Chamberlain (2012) New locality open for collecting near Pierrepoint, St Lawrence Co., New York. Mineral News, 28, #7, 12. Chamberlain, Steve C., M.R. Walter, D.G. Bailey, J. Chiarenzelli & G.W. Robinson (2014), A new collecting site at the Rose Road Locality, Pitcairn, St. Lawrence County, New York, a presentation to the 41st. Rochester Mineralogical Symposium, April 25, 2014.